It's so amazing that we are already celebrating a year of this wonderful blog being in existence! We have been honored to have such a fantastic, diverse group of women share their stories with us and our readers. 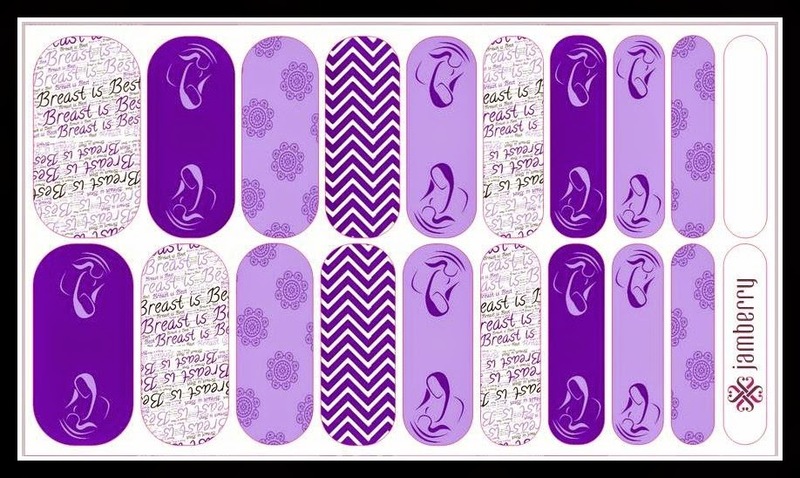 To celebrate our blogiversary, a friend has created some absolutely gorgeous Jamberry nail wraps to support breastfeeding! One lucky reader will win a set, and everyone will have a chance to purchase them if you don't win. The best part is, she is hosting an online Jamberry party and will give 20% of all proceeds to La Leche League! What a great way to get a little something for yourself and give back to a great organization. If someone knows who to credit for this photo, let me know! My other fear is that I'd get the polish on, and immediately at that moment, my baby would need me. 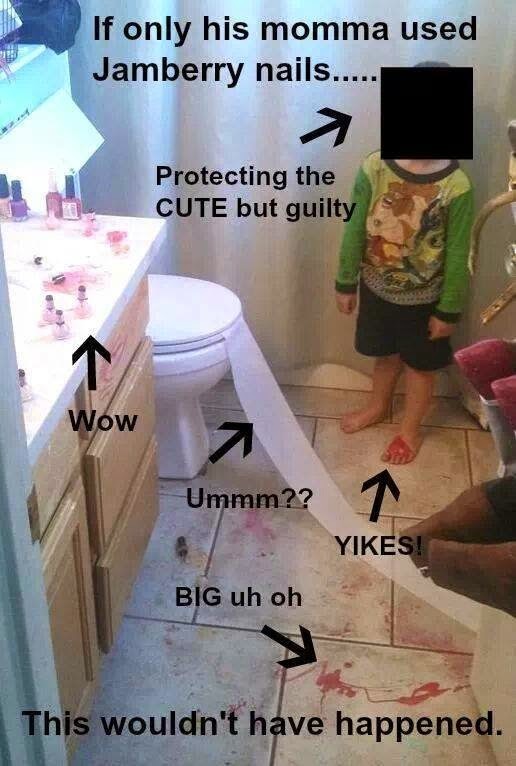 Then I'd have nail polish smudged all over. Sure you can go to the salon, but sometimes you just don't have the time or the money for that. Enter Jamberry nails. These things are amazing! 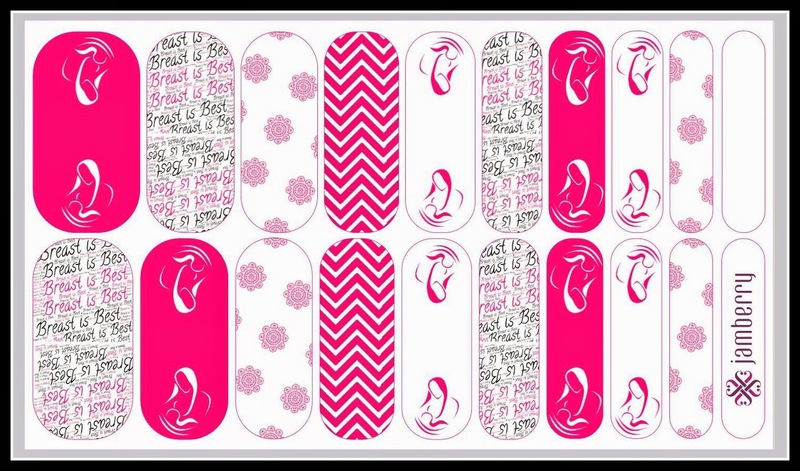 They are high quality nail stickers that can last up to 2 weeks on fingers and 4 weeks on toes. I don't know about you, but when I do get a manicure at the salon, it's a miracle if it lasts more than 24 hours. It will obviously depend on your individual nails, but these have the potential to be a fabulous looking manicure for 14 days. That's amazing! Here are a few of my Jamicures. Besides the simplicity, one of the things I love best about Jamberry is how natural they are. Even though most nail polish is now available 5 Free, they still have some chemicals. 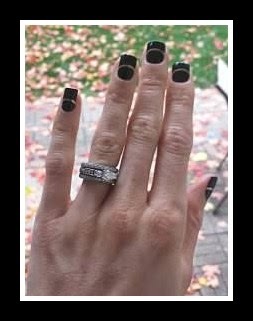 I love that Jamberry is simply an acrylic polymer. There's also no smell, which is perfect if you are pregnant or nursing and can't tolerate the fumes. Jamberry offers a multitude of styles to choose from. There is something for everyone, whether you are a more reserved person or love a pop of color and pattern. 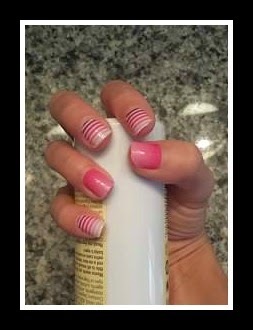 One sheet of Jamberry wraps can yield you two manicures and two pedicures, and even some extra left for accent nails. I've even see people take the scraps and use them for French tips. My friend and fellow breastfeeding mom, Dawn, was generous enough to have these special breastfeeding wraps designed for us. One lucky reader will win a set in their choice of pink or purple. On top of that, we'll be having an online party where you can order any Jamberry wraps your heart desires. 20% of all purchases will be donated to La Leche League, so make sure you stock up! Take advantage of the Buy 3, Get 1 Free deal. That makes the cost of a Jamicure about $3.75. What salon can you go to for that price?! 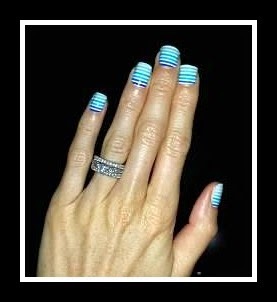 To place your order, visit Dawn's Jamberry site. Shop around, add your items to your cart, and check out. When placing your order, make sure you select a party and choose Adventures in Breastfeeding LLL Fundraiser. If you have any questions, don't hesitate to contact Dawn or any of the AIB admins. We will be happy to help you place your order! Join us on Facebook for all the party fun here. Learn more about Jamberry, see different Jamicures, and more. Thank you for joining us this past year on our journey. We look forward to sharing many more stories, tips, and recipes with all of you. Thanks to everyone for entering the giveaway! Congrats to Jessica H. on winning the beautiful custom Jams. I hope you'll share a picture with us when you apply them. For everyone else, you can order your own set of pink or purple custom Jams by contacting Dawn at the12thbabyjams@yahoo.com.